Chili Cheese Burgers, Fries and Drinks for the first 800 people! Will be on hand to keep you energized all day! Bring Cash and Register to compete at the Motion 2011. We will be offereing 2 extra general admission tickets to all competitors that register in person at the Motion Mini- Meet. 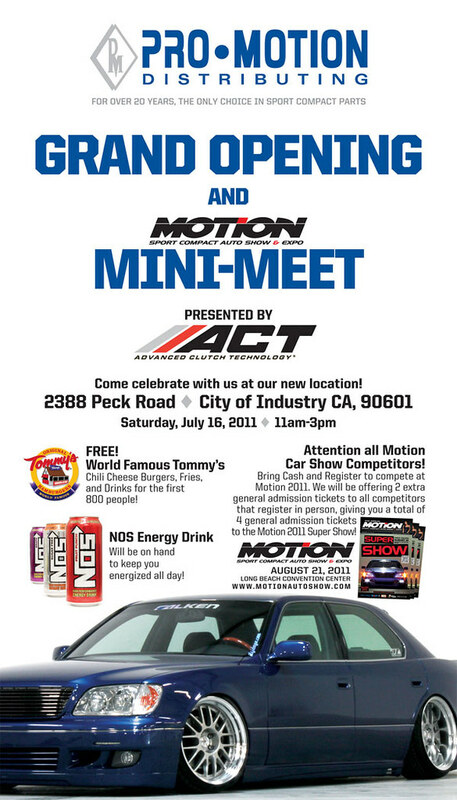 Giving you a total of 4 general admission tickets to the Motion 2011 Super Show!